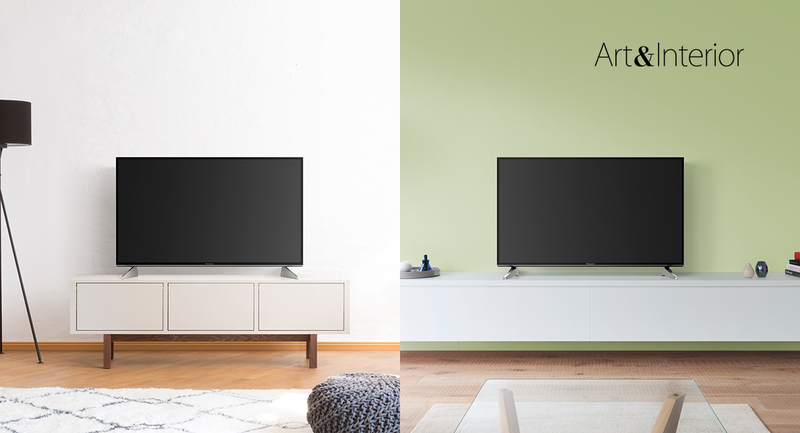 During 4K signal transmission to the TV via HDMI, the colour information can be slightly compromised, resulting in less-than-ideal colour shading and gradation. 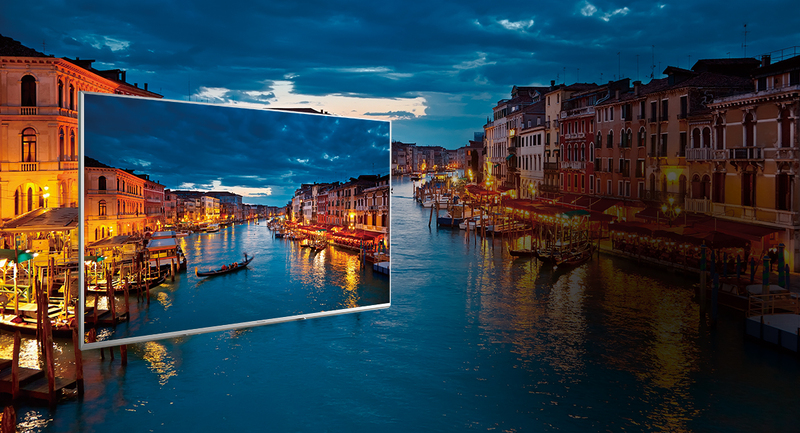 With 4K Pure Direct, all colour information and full resolution is transmitted to the TV, so that the picture retains its crisp, rich colours as intended in 4K Ultra HD. Advanced Colour Processing uses our picture quality know-how to deliver faithful onscreen images. Specifically it delivers accurate colours and works to produce deeper blacks which retain detail even in dark scenes. 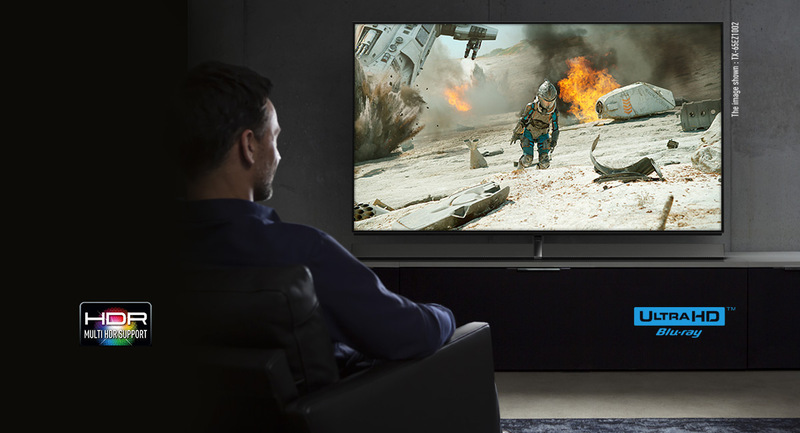 Our 4K TVs support multiple HDR formats, such as HDR10 found on UHD Blu-ray discs and, with the 2017 models, now Hybrid Log Gamma (HLG), the HDR format developed by the BBC and Japan’s NHK. Wide or narrow, subtle or bold — with two distinct styles in one adjustable stand design you can change the look of your TV as often as you decorate. Also a great way to make space for AV accessories, like soundbars, under your new TV. 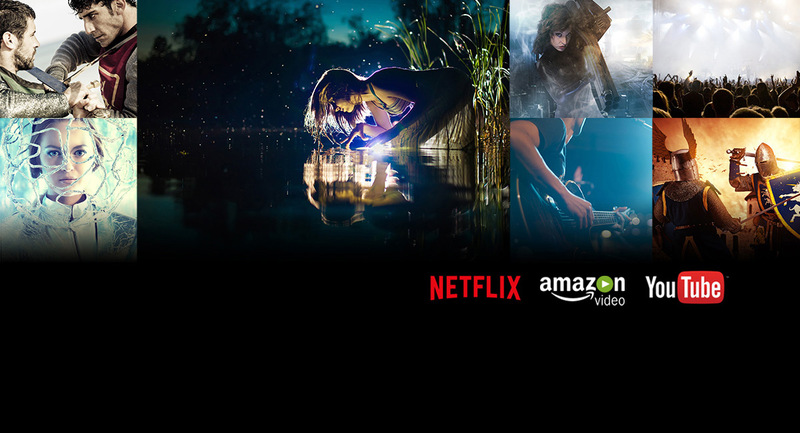 Because 4K internet video streaming is now supported by YouTube, NETFLIX and Amazon Video a wide variety of high-quality content is easily at fingertips. 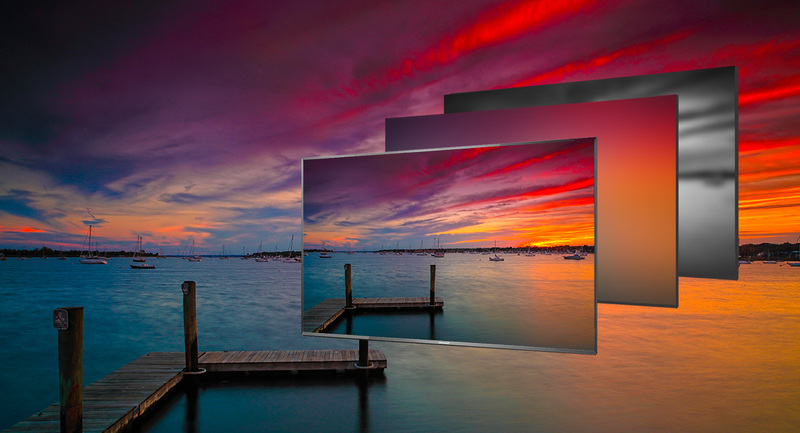 The UHD video signals are processed by our own 4K High-Precision Chroma Processor to achieve crisp, beautiful images. *Subscription required. Not all content is in 4K & HDR. 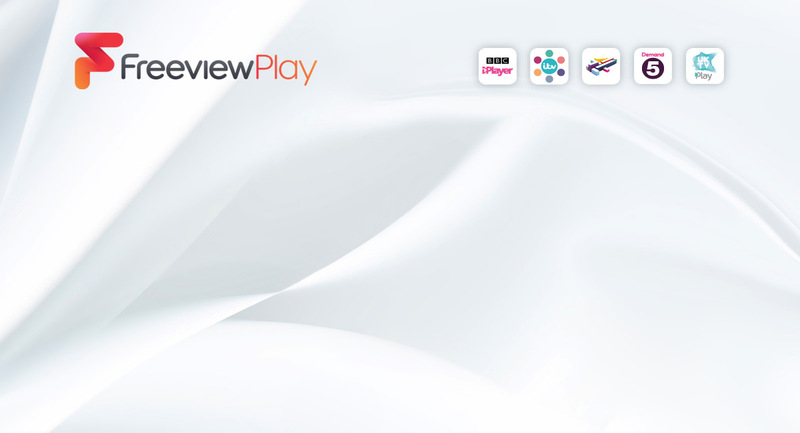 Freeview Play combines catch-up, on-demand services and live television together in one place with no monthly costs. Find programmes from BBC iPlayer, ITV Hub, All 4, Demand 5 and UKTV Play sitting alongside 70 TV channels and 15 HD channels. You definitely won’t be stuck for something to watch. Simply scroll back in your TV guide to watch shows you missed from the last 7 days. Just make sure your TV or recorder is connected to the internet* and you’re good to go. Our TVs have some unique Freeview Play features like the Quick Look Guide which shows thumbnail pictures of TV programmes. *A minimum broadband speed of 2Mbps is required to watch catch up and on demand services – this will count towards any monthly broadband data allowance. Only selected channels provide 7-day catch up. Freeview service is subject to coverage. Aerial upgrade may be required. UK only.